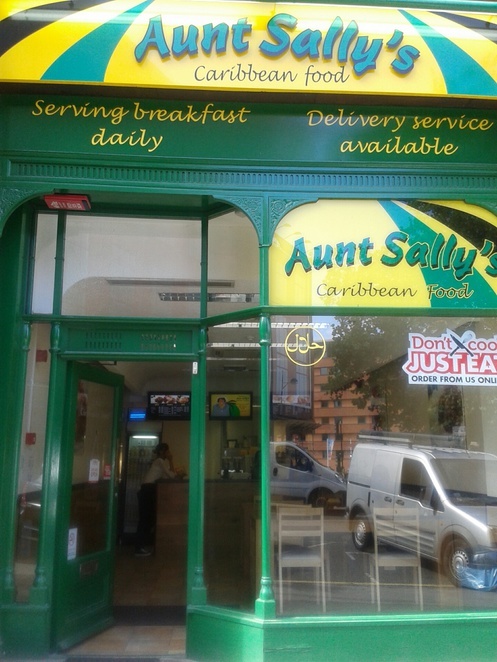 Aunt Sally's makes me think of a happy baker, a cook, a lady who knows her arincini from pudding rice, but it is also the name of Usain Bolt's grandmother who cooks exceptional Caribbean food in his city of birth, and the name of the takeaway at the edge of the city. Ruskin street - at the top end of Corporation street - isn't the most happening area of town, but it has been given a much-need slap on the behind by Aunt Sally's Caribbean takeaway who are to thank for the incredible flavours and scents, wafting up the street. There is no doubt Caribbean flavours transports you to memorable times with your loved ones; the memories in Bristol where the West Indian food scene is heavy, or perhaps when you tried it for the first time in the Caribbean on holiday, or maybe, (as I most find), it takes you back to that party you were invited to, which was catered for by the family hosts, and you've never tried such tender, flaky meat in your life. Situated left of the Colmore row Business District and round the corner from landmarks like the children's hospital, Aston University, and Matthew Boulton it's ever so slightly hidden because it's not the most central takeaway. The location doesn't do much for business, but if you happen to drop into Aunt Sally's, it will be the best decision you've made. 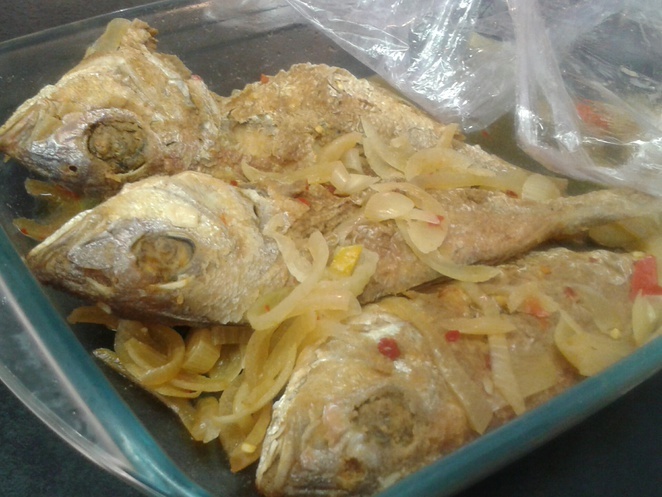 Familiar foods work, they sell, they're popular, and people like them because they're nice, thus Aunt Sally's sell traditional Caribbean food: jerk chicken, ackee and saltfish, saltfish fritters, dumplings, festivals, steamed vegetables, and cow foot. My nanny cooks pigs trotters and cows feet with berlotti beans and turns what I would never consider into a sumptuous rich gravy with flakes of meat making each mouthful a delight. Amazingly Aunt Sally's do the same. Their sides are a little more adventurous, however, compared to other Caribbean takeaways in the city. They sell banana fritters (an acquired taste), steamed green banana and they have a larger fish selection than other shops: red bream, snapper, and mackerel, are available when you want something else other than meat. The price is always the sting in the tail, and you can't fault high quality food when it comes with a large price tag, but Aunt Sally's seem to be doing quite the opposite. For a 'medium' meal of rice, one piece of chicken with sauce and vegetables they charge £3.50, for a 'large' £5.00 and the sides start from 50p (!) On average you'll probably spend about £6.00 for a meal and drink, and a side. Considering the portions and quality of the food from other takeaways in town, Aunt Sally's is a near-bargain. It's really not the price that has kept me coming back though - their dumplings are a serious contender for another takeaway in town. While they're not as large, the smaller bites make very good substitutes, especially if you can't make it to the other shop (who charge more). What also sets Aunt Sally's apart from the competition is the variety of beverages. 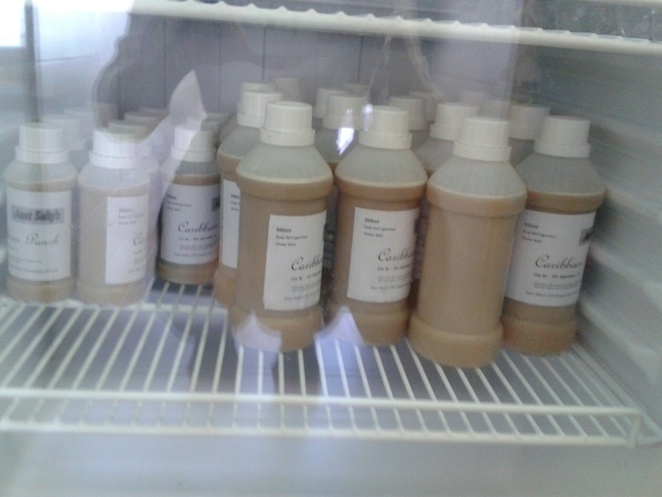 Instead of popular carbonated cans in the fridge, they sell traditional Caribbean drinks from Tropical Sun, Grace and Bigga Juice, but it's their home-made drinks (including carrot juice), which are a true taste of the Caribbean. Ever since I was little my Jamaican grandparents have made what they call 'carrot juice', which is a beer and carrot based drink that I never understood. Now I see the drinks and look on with (what I hope), a wistful smile. Carrot juice is, again, an acquired taste, but it's a home-made delicacy you can't buy in supermarkets, and a fine example of the drinks made on West Indian soil. Service-wise there are only two members of staff in the takeaway at any one time: one chef, one taking and processing orders. It's simple, stripped back, but it works. It's only a small shop, but don't let that put you off, Aunt Sally's is a chip off the old block, and serves very good food that I am proud to put my name against. If anyone asks, say I sent you.